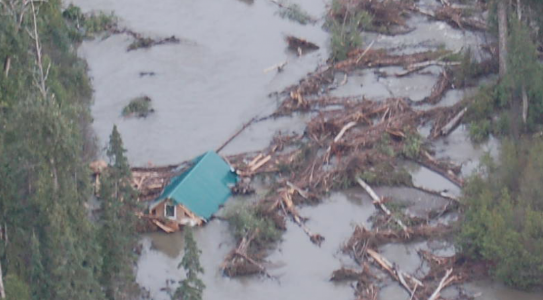 The Mat-Su Borough Flood Zone Maps have been updated for the first time since 1985 and there are some big changes. These changes will allow many people currently paying for flood insurance to drop that cost and it will require a few that aren’t paying flood insurance to buy it. This is a huge boon for the Butte area. Most of the Butte was within the flood zone until these maps came out. Although this area did flood in 1971, because that flood was an unusual occurrence it is not expected to happen again. This allows most of the area to be taken from the flood zone. I’m old enough to have witnessed that flood personally. 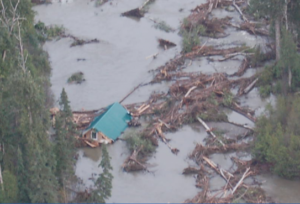 It was caused by a naturally dammed lake in the Talkeetna Mountains that broke loose and flooded the Matanuska River which backed up the Knik River into the Butte.